A Web developer, who is passionate about various web development languages and knew about making a responsive website. And in long run ,want to pursue a career as a full stack web developer. 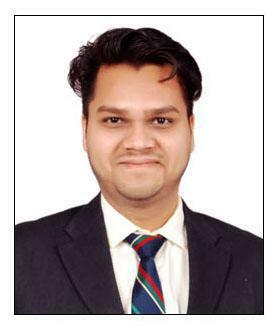 I am fond of web development languages, and i want to pursue a career in web industry, where i use my technical skills to deliver the consumer with their required needs, while doing that, i would like to evolve myself as Full Stack Web Developer working with an organisation & contribute to the organisation by gaining some technical exposure while working with senior mentors. I can design and develop responsive websites. as well as, i like to interact with new people. OrderBazaar, an e-commerce wordpress theme, which supports affiliated and cart products with woocommerce plugin integration to have a cart and review functionality. 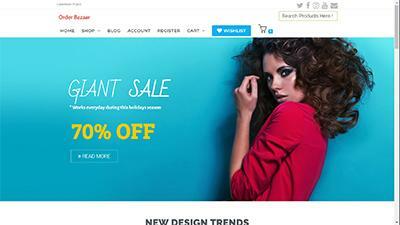 This theme also supports user/admin login and search the product in the store available. I have coded to this theme to order any cart product with cash-on delivery and it also extended to integrate online payment gateway as well. 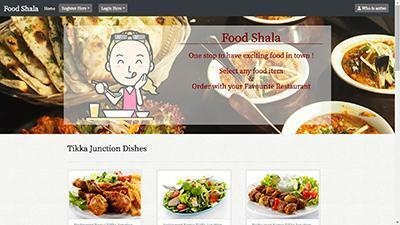 A full fledged PHP + mySQL based website module, Foodshala, in which restaurants register themselves to Foodshala online platform, here they can add their menu items and publish it on the Foodshala, main page where customers can order the food to their favourite restaurants. Both restaurants and customers can track their respective accounts, as well as customers can track the order status provided by their respective restaurants. It is a wordpress blog theme, which has a online blog website with its blog post and comment section for the user of website to interact with admin and other fellow members by posting comment. It is a HTML module through which admin can maintain a database of subscribers and connect with them via subscription letter or email. A mailing form to send mail from website to the selected mailing email address of admin, like some websites has contact page through which user can contact via email, a modal window or web page open up to send the email through website. A prototype which is designed to apprehend false user among group of people, while capturing an image feedback and for finding out the false user, it sending out the data to openCV algorithm, to trace out our wrong fella who has no record in system database and it also notify the admin, by sending a emergency mail to admin. A Simple software to make a encrypted text document secured with a key, which has a public key to read the document and an admin key to modify the document. A Simple software which is like a Electronic diary, it stores the admin text data while maintaining a log book for recording new entries with date and time, and it secured the data in encrypted form with an admin key. Three months internship in Milestone SoftTech in JAVA Swings. Participated in essay competition conducted by "American Center Library". Participated in a TV Show "Education USA" conducted by "CNBC TV 18". Attended seminar of "Russian Literature Society" held in "Russian Cultural Center"
Attended Discussion on "LGBTQI acceptance by Family and friends" conducted by "American Center Library". Attended seminar on "Environmental sustainability" hosted by "USAID". Attended seminar on "Better Air, Better Earth" hosted by "Clean Air Asia". Participated in "Poetry slam open mic" conducted by "American Center Library". "Individually, we are one drop Together, we are an ocean"
An e-commerce WordPress Theme, online store with woocommerce plugin integration.